When it comes to your trade show booths, it’s important to find high-quality products that make the experience run smoothly for you and your staff. Are you looking for a way to keep long lines organized at your next event? Exhibition crowd control with graphics options come in a variety of sizes to accommodate anyone looking to purchase one. They create the perfect crowd control barrier that gives you the option to promote your brand at the same time. These long display stands with custom printed graphics are fully custom made and offer a lightweight option for promotional marketing at your next event. They serve as the perfect way to organize traffic at convention halls, building, hotels, airports, banks, sports venues and much more. Our crowd control barrier options feature portable panels that can be used both in-house in your business or at your next fair stand. They can be single-sided or double-sided, depending on your preference. 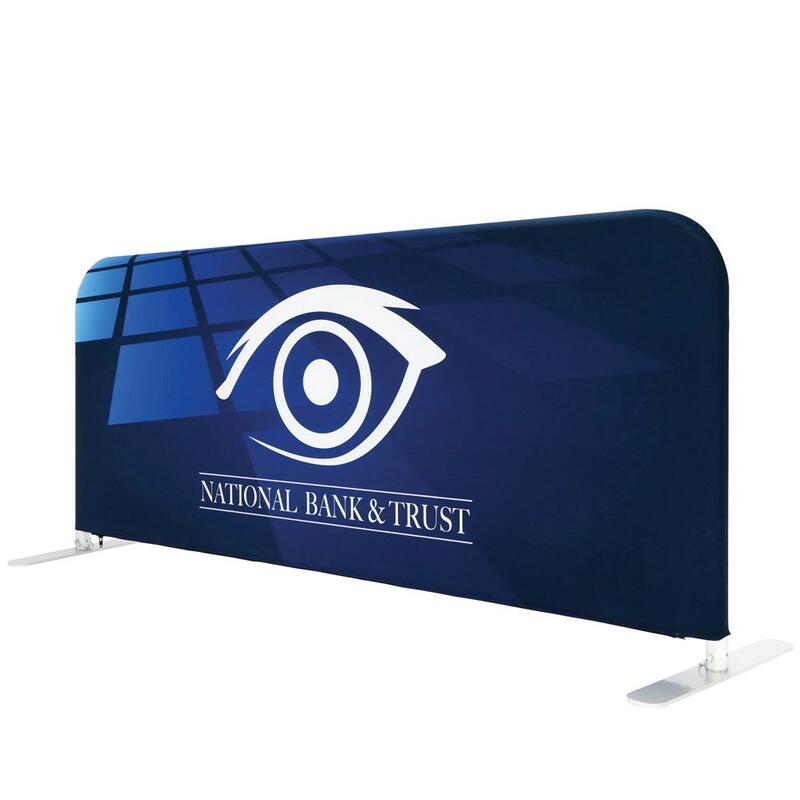 Our solutions such as the fabric printed EZ Barrier crowd control displays offers a lightweight portable option for advertising with crown control branding graphics. Suitable for indoor use, use them for crowd control while advertising at the same time. 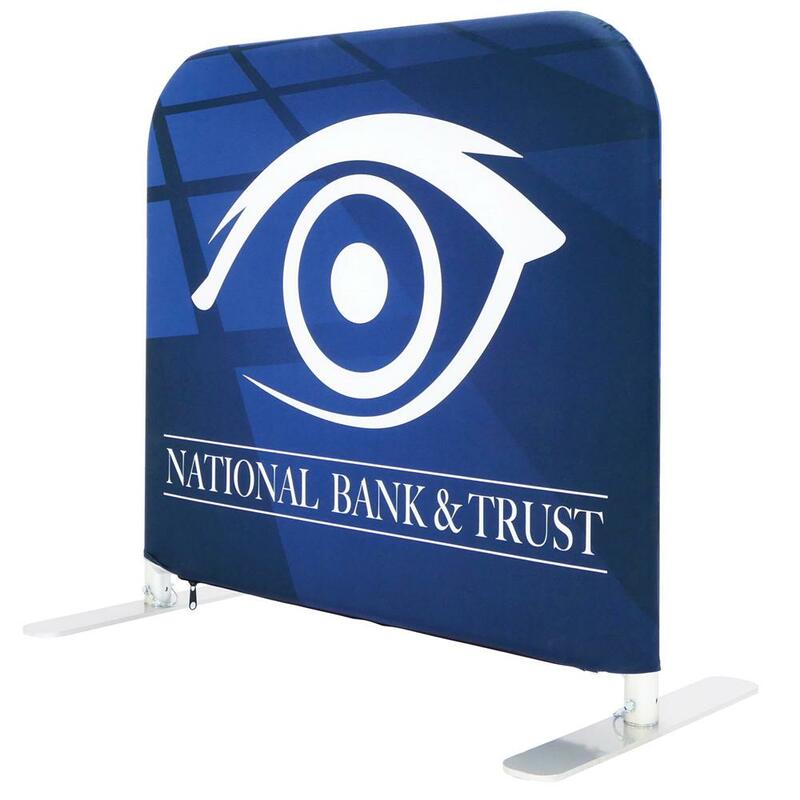 With custom fabric printing that drapes over the aluminum frames and zips closed with ease, this product can be customized with any logo, graphic or image that you desire. Choose from white or black backside or double-side graphics. The image is made like a pillowcase with a zipper at the bottom to close it securely. For your convenience, your crowd control product comes with an entire package of all the things you need to install too. No tools are needed! These wholesales crowd barriers are an excellent way to keep order during long lines. Take the opportunity to push your brand or any other message you have for people with a custom-printed banner on your crowd control product. Your banner can be simply used as directional signs too if you choose. You can also use multiple barriers to set up special sections at your event. Ultimately, taking time to find professional products that help make transporting, setting up and taking down your display stands is important. High-quality products with professional imagery portrays the professional image you’re looking for the most. With the help of Capital Exhibits and our large selection of display solutions, we can help you to vamp up your business or trade booths easily. Look through our large selection of crowd control options available at Capital Exhibits today!